A wedding planner will not only reduce your problems that you will tend to face while planning for your wedding but also make things easier for you to enjoy in the ceremony. A lot of stress is common while preparing for your wedding and you tend to worry about the arrangements, the execution of your wedding plan and much more. A good wedding planner will definitely help you to remove the stress factor from your wedding plans in Puri and that too with you still being in control. A wedding planner in Puri will ease your load while you plan your wedding and also ensure that it will be a memorable day in your life. 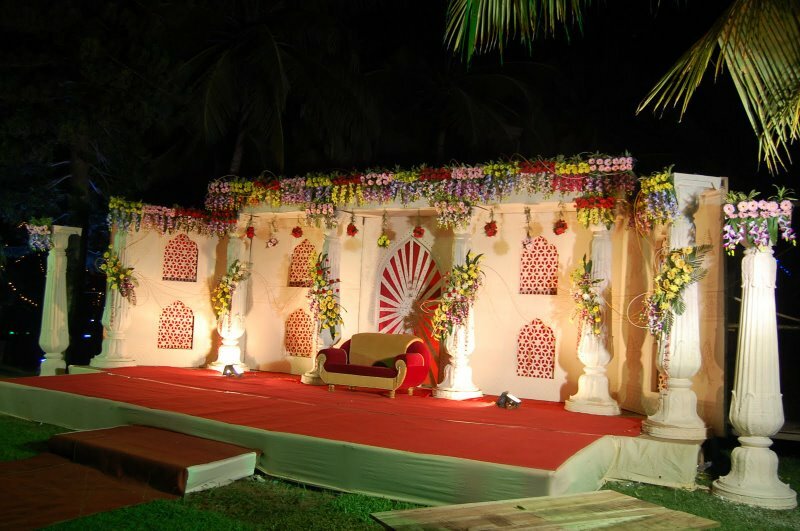 A wedding planner at Toshali Sands resort in Puri offers many services to help you have a great wedding. Since most wedding planners have experience and contacts with most providers, they will help you to find the best possible items for your wedding within your budget. They can also help you to identify the best possible church or venue for your wedding. The wedding planner in Puri will know lot of venues where you can have your wedding at a reasonable price too. Finding the best possible attire for the bride and the groom or even for the whole family is also done by wedding planners. Making floral arrangements, arranging for the photographer, video grapher and decorations for the wedding is also done by wedding planners. Almost all necessary arrangements needed for the wedding and your reception will be done by the wedding planner and thus you can relax and prepare for the wedding. While picking a wedding planner in Puri at Toshali Sands do make sure that you do the necessary background checks needed and also ensure that the person whose services you are going to utilize is a licensed wedding planner. A small research on the wedding planners available in your city would be beneficial in picking the right person for the job. As weddings involve huge amounts of money it is very important for you to land up with the right wedding planner else you might lose your money and also ruining your dream wedding. Pick a wedding planner who has a great personality and one who can work as a team with you. The wedding planner should be ready to give and accept ideas to make the wedding just as you want it to. Even if you hire a wedding planner in Puri at Toshali Sands do remember that it is your wedding and you need to make the final decision on what is needed and what can be left. You should not let the wedding planner make all the decisions as that will make your wedding not the way you really wanted it to be. But don’t blindly accept or reject any suggestions from the wedding planner. Have a healthy discussion with the wedding planner before you make the decision. The most important thing to consider while selecting a wedding planner is the costs. Do check through all the available wedding planners in the city and compare their services and costs before deciding on which wedding planner you are going to select. Do remember that even the best planned wedding can have a few unexpected glitches and in such situations a wedding planner will be a boon to you as the wedding planner in Puri will take care of those problems while you can enjoy your wedding.